Update 10/12/12 – It’s looking more and more like FeedBurner is in a controlled shutdown. For help in switching to other services, please see the Ultimate FeedBurner Alternatives Guide, and Export FeedBurner RSS to MailChimp RSS to Email. At NAMS, a presenter mentioned that Google is deprecating the FeedBurner API soon and the rumor mill has been cranking up about Google shutting down the FeedBurner RSS feed service altogether. Some bloggers are advising that you should switch to FeedBlitz. But, there are several important factors to consider before you do, especially since FeedBlitz is not entirely free like FeedBurner and the features it offers are a bit different. Here’s what we know to date, what we don’t know yet for sure, and what you need to consider before you make the switch. 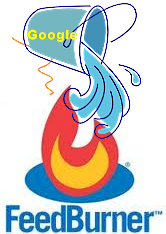 Google paid around $100 million for FeedBurner in 2007. They made a few minor tweaks to it shortly thereafter and haven’t touched it since. For the past year and a half FeedBurner has been having intermittent issues with dropping subscribers and/or not sending feeds in a timely manner, or sending too many all at once. Google never bothered with fixes. On June 3, 2011, the Official Google Code Blog announced that they were deprecating the Translate API. Near the bottom of that announcement, they also listed several other APIs that were slated for deprecation, including the FeedBurner API. That particular API announcement was actually made on May 26, 2011, but very quietly. They have since updated the announcement with the official end date, which is October 12, 2012. On July 26, 2012, Google shut down the FeedBurner Twitter account without warning, along with the Adsense for Feeds blog. Google constantly buys or creates, publicizes, mishandles, then drops new tools and apps all the time. Some we hear about more than others, like the ones they pay outrageous amounts of money to acquire. So, the dropping of a few APIs didn’t really raise too many eyebrows. But, when the publicity and support accounts started shutting down, that got folks’ attention and may very well be a signal of a bigger change. You may be using FeedBurner in more ways than you recall at the moment. Here’s a list to jog your memory. Millions of folks use the free FeedBurner service. There are long-standing WordPress plugins for it too, many of which redirect your site’s raw feed to Feedburner for more accurate statistics. These are radically important analytics for affiliate marketers who want to attract advertisers. Some sites have tens of thousands of subscribers. So, is Feedburner going away? My hunch is that with this many folks making use of the service and depending on it that Google will make an official announcement with plenty enough lead time for folks to make other arrangements. Plus, there are a couple of other things to consider. FeedBlitz has always been the direct competitor of FeedBurner. It’s also always been a paid service. And that’s exactly why it has always sat in the shadow of the free FeedBurner service. Another thing to consider is that Google has bet the farm on G+ and is tying everything into it. In fact, they finally released a Google+ API for it so that apps can auto-post to G+. So, maybe something is in the works for RSS feeds to tie directly in too. Do You Need to Jump the FeedBurner Ship Now? If you are an affiliate marketer and you need accurate analytics to show subscription rates to potential advertisers, you should already be on FeedBlitz. If you use FeedBurner for your newsletter, seriously consider doing something more professional anyway, like using MailChimp or Aweber. You can pair FeedBlitz RSS service with MailChimp email, which is still a free combo solution. If you use FeedBurner strictly for the RSS feed of your blog or categories, you can stand pat for now. Or, if you want to give FeedBlitz a shot, the RSS feed portion is free. It’s the RSS feed by email portion that requires you to pay (that includes email marketing too). Of course, in light of all this, FeedBlitz has made it super simple for you to switch with their FeedBurner Migration Guide. Also, software developer Dave Winer has a nice thread going on two other ways to make the switch via Google redirection or mapping via CNAME. Honestly, migrating the RSS feed using the Migration Guide is pretty straightforward and painless. However, migrating your email subscribers is another story. Consult the guide for more details. How’s Your RSS Feed Use? Tell us if you are making use of your feed. BlogAid certainly does, with wonderful results, so this is something I’ll be watching closely. Not to mention that I follow about 120 blogs on Google Reader and depend on it to keep up with my industry. Most of those feeds are on FeedBurner. How about you? Great explanation and clearing up the rumors, MaAnna. I personally don’t think Feedburner is going away any time soon either, Google would be cutting itself off at the knee “confidence-wise” from the millions of Feedburner users and take a huge hit on their reputation. Agreed, Cyndi. I’m keeping it for now too, especially if there is a chance they will create something to tie into G+. Thanks so much for keeping us updated, Phil. That’s scary. But, isn’t there a grace period with most domain renewals that the previous owner has dibs on it for about 60 days after expiration? Seems like if they wanted to renew, no matter what happened to let it expire, that they could easily get it back. Or, they could put out a statement to their users with updates. That’s the part that gets me. No warning, no news, no apology. That’s the point. The grace period expired. So if they had wanted it, they could have kept it. Much appreciate the mention! Very thoughtful and accurate article on FeedBurner’s history. FYI, though, there is no ability to post to a Google+ page via the API. The API is read only, and in fact explicityl states: “The Google+ API currently provides read-only access to public data. All API calls require either an OAuth 2.0 token or an API key.” – There’s no autposting to G+ for an app, unlike Twitter, Facebook or LinkedIn. Phil, thanks so much for the info about the G+ API. Thought I read some social media trainers jumping for joy about using it to post. Guess the integration with things like Hootsuite are just read-only, though. I’be been recommending for a while now to try out Jetpacks email subscription service as it has some great features like choosing between daily and weekly updates. The only problem is you can’t import emails. I don’t think this will change in the near future if at all. Phil, definitely looking forward to reading those case studies and you know I’ll be passing the link on to my BlogAid peeps too. Hi Brad, I’ve been looking into a few WordPress email plugins that do allow you to import emails and also send autoresponders. However, none of them offer any tracking, which I think is very important. Will definitely add Jetpack’s option to that list, though. Nice post, MaAnna. Another possibility if your readers are considering their options is a product that my co-founder and I have created. It manages your email subscribers and auto-sends out new posts, and most importantly, unlike FeedBlitz, is completely free. Thank you, Elizabeth, for letting us know about your new offering. I’ll be signing up to test it. We put together a helpful step-by-step guide using SlideRock that your readers may find helpful on how to export Feedburner subscribers that’s not specific to FeedBlitz – http://app.sliderocket.com/app/FullPlayer.aspx?id=F6494235-CF18-F7A1-9B2C-C61E47094E7B. I want to mention we also offer an RSS to Email service for B2B publishers. It has the same functionality of FeedBlitz, except it’s free. We even help bloggers make money by monetizing the feed (we take a cut of the commissions to stay in business). Check it out if it sounds useful. Thanks! Thanks so much for the heads up about your guide and service. Will be checking it out.